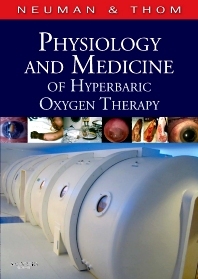 Written by internationally recognized leaders in hyperbaric oxygen therapy (HBOT) research and practice, this exciting new book provides evidence-based, practical, useful information for anyone involved in HBOT. It outlines the physiologic principles that constitute the basis for understanding the clinical implications for treatment and describes recent advances and current research, along with new approaches to therapy. This book is an essential tool for anyone who cares for patients with difficult-to-heal wounds, wounds from radiation therapy, carbon monoxide poisoning, and more. Provides comprehensive coverage of pathophysiology and clinically relevant information so you can master the specialty. Covers the relevance of HBOT in caring for diverse populations including critical care patients, infants and pediatric patients, and divers. Features a section on the technical aspects of HBOT to provide insight into the technology and physics regarding HBO chambers. Presents evidence to support the effectiveness of HBOT as well as the possible side effects. Describes situations where HBOT would be effective through indication-specific chapters on chronic wounds, radiation and crush injuries, decompression sickness, and more.